During the summer and early autumn we usually have far too many herbs for us to eat. 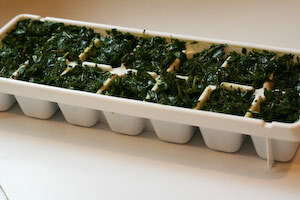 Rather than attempting to dry the excess herbs, try freezing in ice cube trays. It’s a simple process that requires only some water, ice-cube trays and the herbs. To preserve herbs with a high water content, like basil, chives lemon balm, mint and tarragon, fresh freezing is a better option than drying. The herbs will become limp in the process, but their flavour will be intact. Frozen herbs will keep their flavour for several months. Unlike dried herbs, where the flavour gets more concentrated when drying, frozen herbs can be used in the same proportion as fresh herbs. 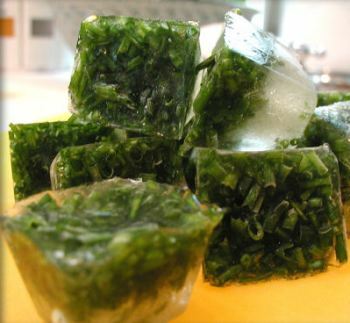 Once your herb cubes are frozen, they can then be put in labelled bags in the freezer and used whenever you need them. They are also very easy to use. Just pop a cube or two into casseroles and sauces while you are cooking them. 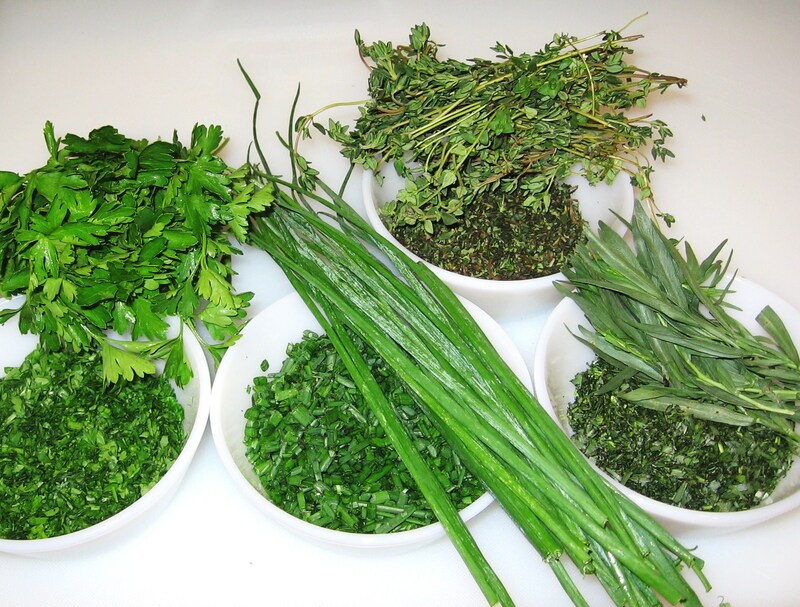 As the ice melts, your dishes become infused with the delicious flavour of home-grown herbs. 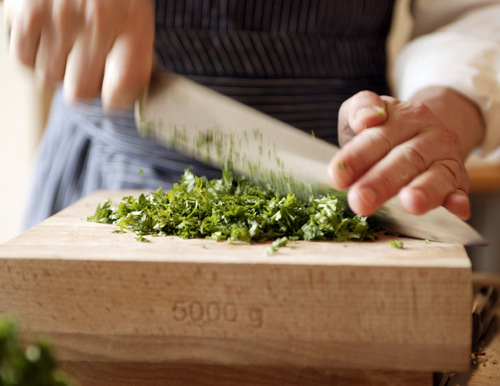 Chop up your freshly picked herb leaves into small pieces using a sharp knife or a pair of kitchen scissors. 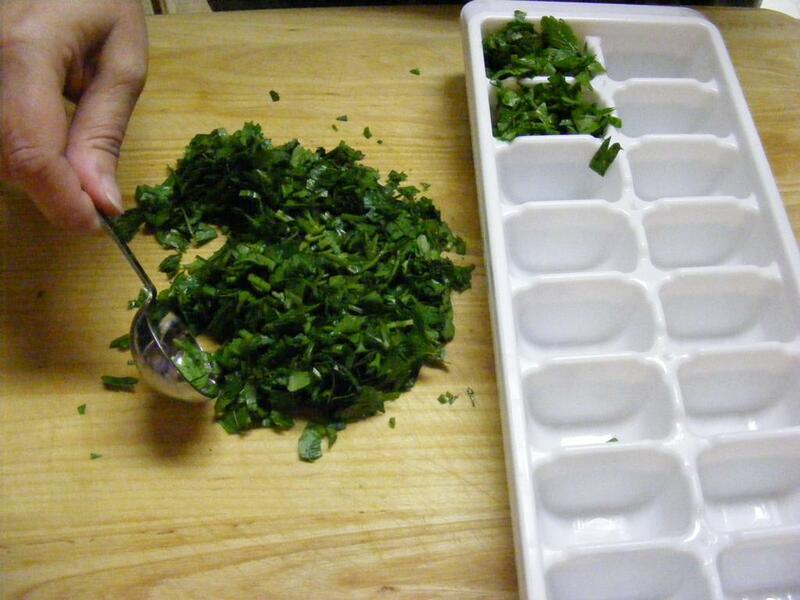 Add a spoonful of chopped herbs to each cube then fill half the tray with water, ensuring that as much of the leaf as possible is covered by water. They will tend to float, at this stage. Place the half filled tray in the freezer. Once the ice cubes are pretty much frozen, finish filling the try with water. The leaves will no longer be able to float and should be completely surrounded with water. Now place the tray back into the freezer to freeze solid. Once the ice cubes are frozen, remove from the tray and store in labelled bags in the freezer until needed. When ready to use, simply add the whole ice-cube into your favourite stew or dish.